GettyPoliticians are so divided that they won’t be able to stop May’s Brexit deal, Goldman says. Adrian Paul, a European economist at Goldman Sachs says Prime Minister May’s Brexit deal will ultimately achieve parliamentary approval. Paul’s view that the deal will be ratified by British politicians is based on what he calls an “uneasy alliance” of MPs who currently opposed to the deal will ultimately vote for it, perhaps on a second vote. There is, Paul says, a delicate equilibrium in Westminster, with all the groups opposed to May’s deal also as equally opposed to one another. That effectively gives May a lot more power than she appears to have. 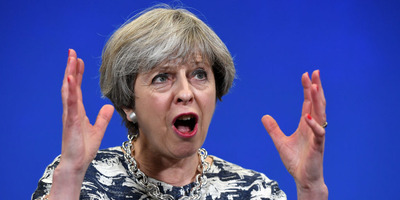 For the two or so weeks since British Prime Minister Theresa May first announced that she had secured an initial Brexit deal with the European Union, that deal has almost constantly appeared to be close to collapse, as politicians from all sides roundly criticise the agreement. May insists, however, that the deal is the best available to the UK, and doggedly continues to push it towards a parliamentary vote. She was handed a small boost on Sunday when EU leaders ratified both the Withdrawal Agreement and the Political Declaration on Brexit. Whether or not the deal meets parliamentary approval remains to be seen, but one optimist who sees the deal getting past MPs is Goldman Sachs economist Adrian Paul. While the bank doesn’t provide its view on whether the deal is good or not, Goldman does say that it will ultimately be passed by the House of Commons, allowing the UK to begin its transition out of the EU, and setting the scene for the beginning of crucial trade negotiations. Paul’s view is based on what he calls an “uneasy alliance” of MPs currently opposed to the deal will ultimately vote for it, perhaps on a second vote. “In a stylised sense, the preferred objective of different factions in Parliament can be summarised as: (i) those supporting ‘this deal’, (ii) those supporting ‘another deal’, (iii) those supporting ‘no deal’, and (iv) those supporting ‘no Brexit’,” Paul wrote on Sunday. Effectively, groups one, two, and three all oppose May’s deal, but do not – at the moment at least – have the strength of numbers to individually force through their own objective. 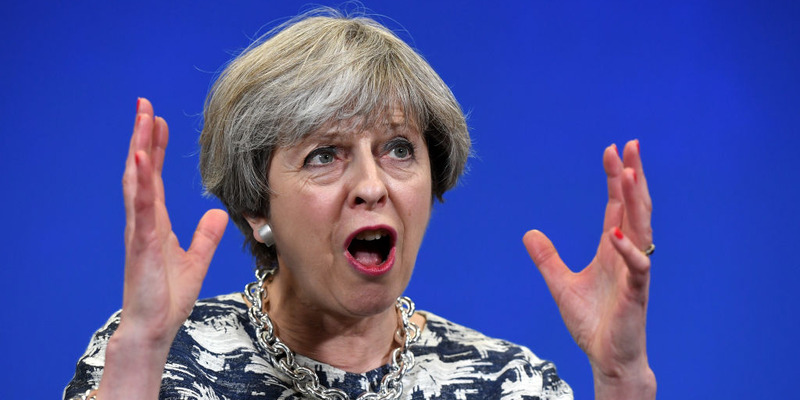 That much was made clear by the bungled attempt from the pro-Brexit European Research Group to oust May last week, and push forward a no deal scenario. This, Paul says, creates a delicate equilibrium in Westminster, with all the groups opposed to May’s deal also equally opposed to one another. Such a situation, which Paul terms an “equilibrating dynamic,” actually makes May a lot stronger than she appears right now. “On our base case, the Brexit deal is ultimately ratified. The UK embarks on a ‘status quo’ transition phase, beginning in March 2019,” he continues. There are risks to such a set of forecasts, Paul says, noting that the chance of the deal ultimately failing have risen somewhat in recent days. He says that it is particularly under threat if two or more of the disparate groups opposing the deal come together. “Were the factions within that uneasy alliance of opposition MPs able to coalesce around one specific alternative objective – rather than each advocating their own – the threat to the PM posed by the arithmetic in parliament would become all the more pertinent,” he said.